NICOSIA, CYPRUS. 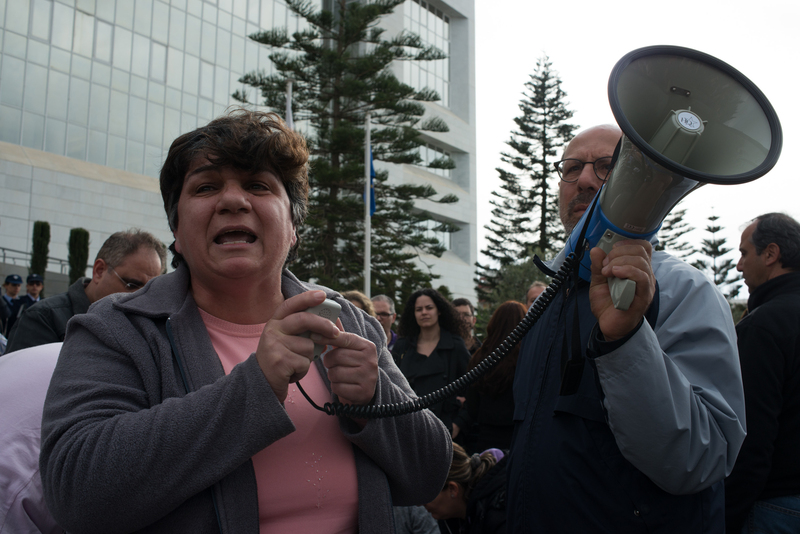 Bank of Cyprus employees, several in tears, swarm the Central Bank of Cyprus after marching from the Bank of Cyprus to demand the resignation of the chief of the Central Bank of Cyprus on March 26, 2013. Banks in Cyprus remain closed for now until Thursday morning as many fear for their life savings and their jobs.